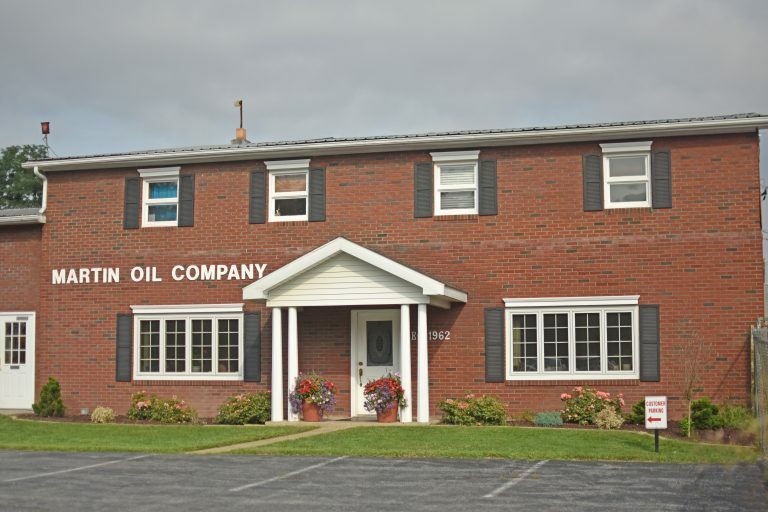 Located in northern Blair County, Bellwood is our main office. 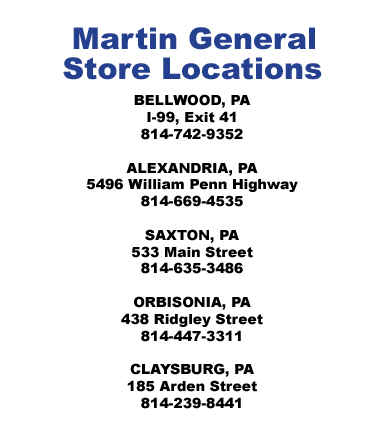 The address is 528 North First Street, Bellwood, PA 16617. Phone numbers are (814) 742-8438 or 800-252-3868. Fax is (814) 742-8458. 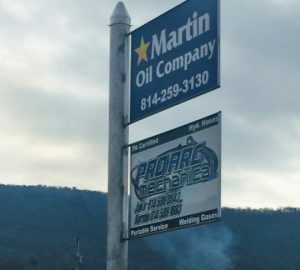 Located in Huntingdon County, on Route 22, next to a Martin General Store. 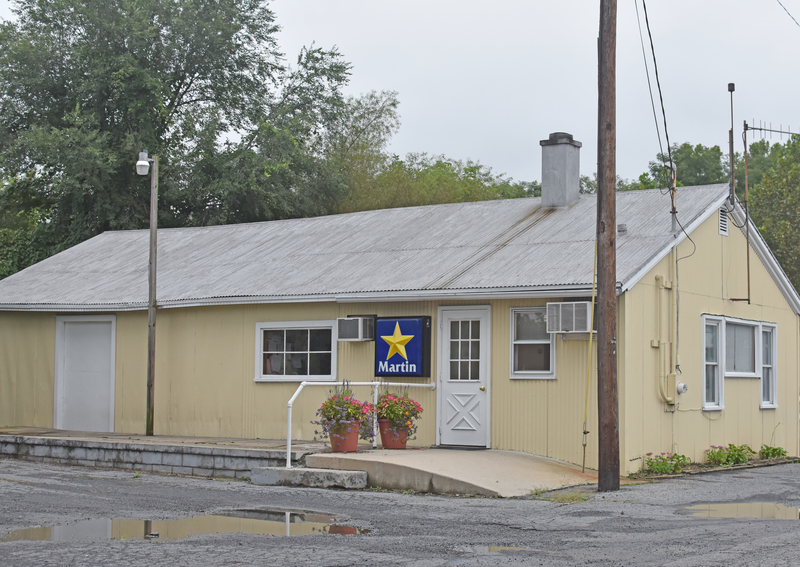 The address is 5468 William Penn Highway, Alexandria, PA 16611. Phone numbers are (814) 669-4427 or 800-905-4645. Fax is 669-4630. 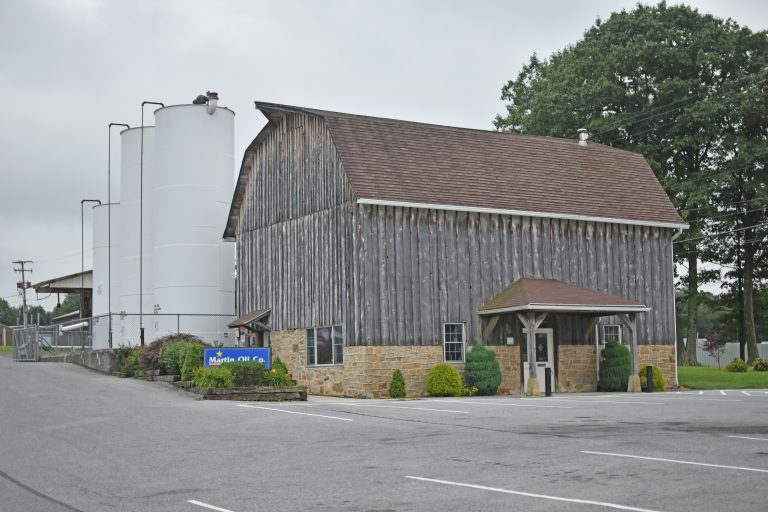 Located in Cambria County, on Route 22 just west of 219, in a restored barn next to Martin General Store. 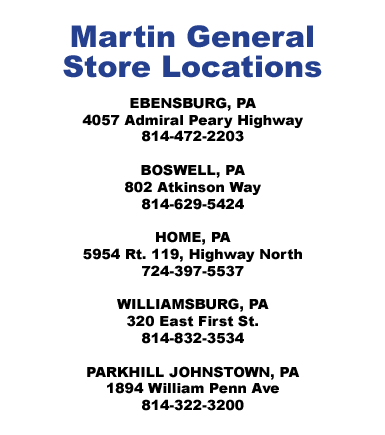 The address is 4059 Admiral Peary Highway, Ebensburg, PA 15931. Phone numbers are (814) 471-2783 or 800-287-7978. Fax is 472-6164. Located in Bedford County. The address is 235 Railroad St., Bedford, PA 15522. Phone number is (814) 623-2148. 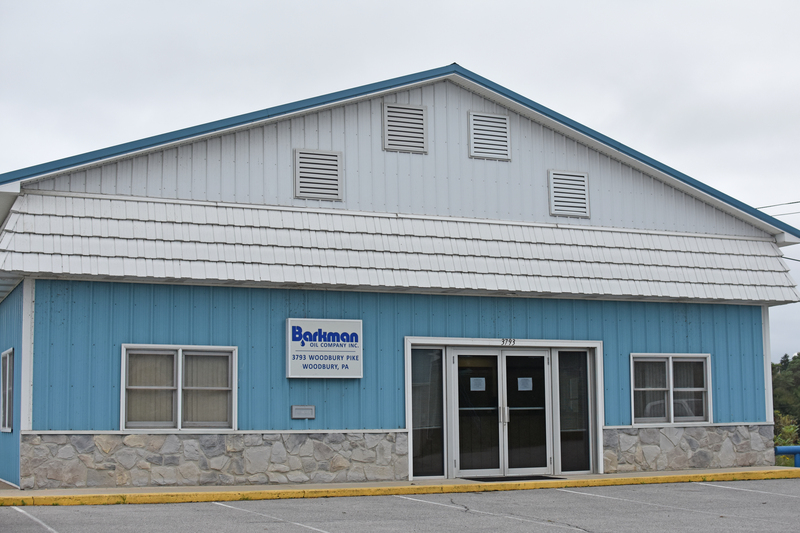 This office, formerly Barkman Oil, serves a wide area from Woodbury and Hopewell in northern Bedford County. In addition to selling petroleum, our Woodbury office is home to Barkman HVAC Service, with a complete installation and service department for heating and air conditioning. 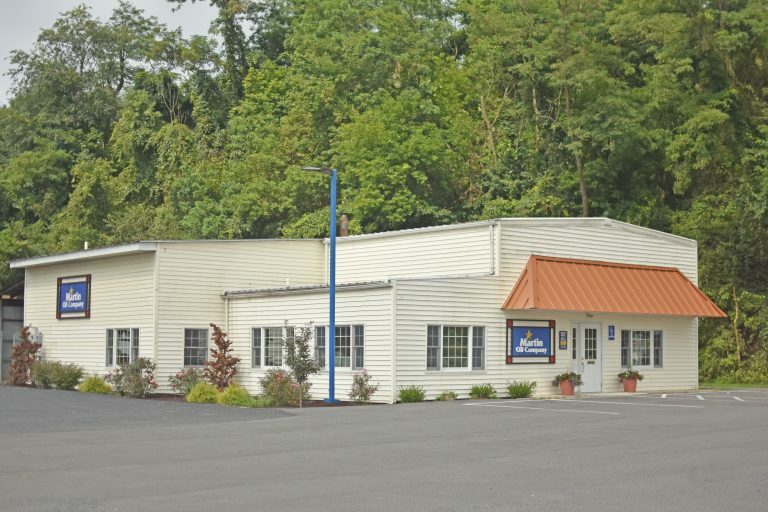 Located in Northern Bedford County, the address is 3793 Woodbury Pike, Woodbury, PA 16695. 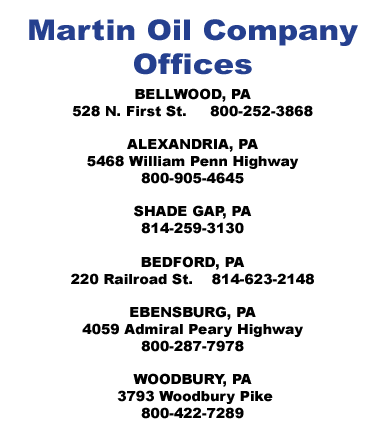 This office is located in southern Huntingdon County. The address is 22545 Decorum Road, Neelyton, PA, 17239. Serving customers in southern Huntingdon, Fulton and Franklin counties.